Is the day calling for an umbrella or suntan lotion? Get pin-point weather forecasts, and you’ll know. Keep track of your current location, updated automatically, plus your favorite cities around the globe. 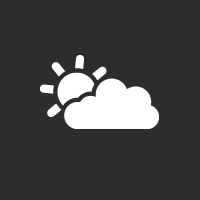 View current conditions and check out the 10-day forecast. The weather, and its unpredictable quirks, tracked in one convenient spot!